So girls today we are here with another Beauty Hooked award for category THE BEST BLUSH. Through a lot of research we bring you these awards to bring you the best of product recommendation. With a proper discussion with our MUA’s they recommeded you these Blushes. Most people think coloring your cheek slightly makes you look dead but in reality blush comes in colors of pink, peaches, orange or brown. Blush comes in powder form. Blush makes your cheeks look rosy and before you use a blush you might wanna check with which blush color suits you skin complexion. This blush has been an iconic in the industry which gives a healthy looking flush to cheeks that is flattering on every skin tone because it has a peachy pink undertone with gold shimmer particles. RANK # 2 Too Faced Sweethearts Perfect Flush Blush. 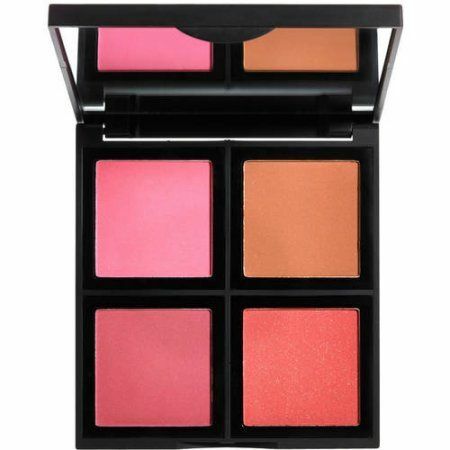 This Blush palette has 4 gorgeous shades which allow you to mix and match to create different looks. Looking for afforable blush and that fits in your vanity perfectly well. This one is for you. We are sure you would be one of those who love blushes on their cheeks. If so,then let us know in the comments below your favorite blush.